Virginia is a beautiful state full of lush green landscapes and rolling hills. Most residents of Fredericksburg wouldn’t even consider living in another state except for during the summer. That’s when Virginia gets hot and muggy, and people have to stay close to an air conditioner just to get some relief from the humidity. The last thing anyone wants during this time of year is to pay for costly emergency AC repair. Keep your unit running smoothly and keep your house a comfortable temperature by remembering to do this one simple thing that far too many homeowners forget. When’s The Last Time You Changed Your Air Conditioner Filter? The filter is your air conditioner’s first line of defense against particulate that can clog the system and allow allergens into your home. Waiting too long to change your air conditioner filter means it has to work twice as hard to draw air into the cooling unit. When the Virginia weather gets really hot, your air conditioner might have to run constantly for many hours in order to maintain your home’s desired temperature. With a dirty filter, this puts a huge strain on the unit. You could blow a fuse or even find that your coils have frozen over, which puts you at risk for emergency AC repair. 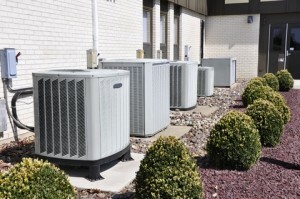 In addition to saving you money on potential emergency AC repair, changing your air conditioner filter at least twice a year can increase the overall efficiency of your unit. Heating and air conditioning experts say that an air conditioner operating with a clean filter uses up to 15 percent less energy than a unit with a dirty filter. Not sure whether or not it’s time to change your air conditioner filter, or where the filter is even located? Contact All Air Heating & Cooling for a full inspection today!